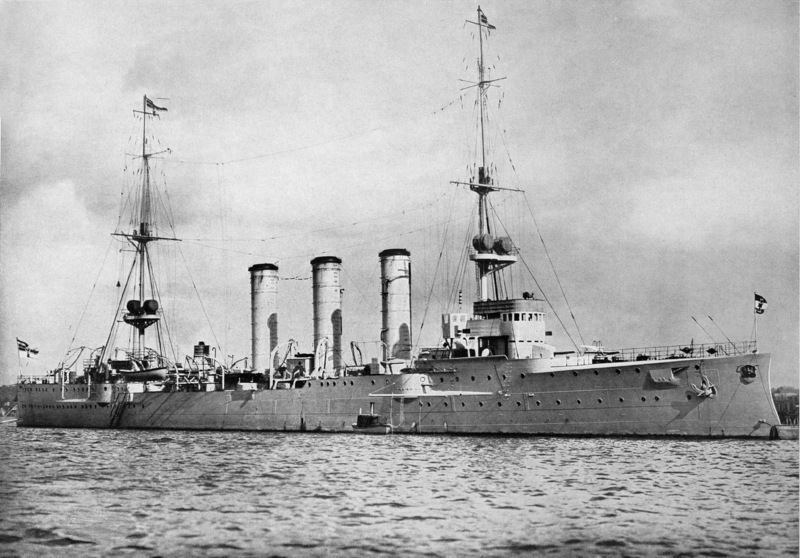 SMS Emden was the second and final member of the Dresden class of light cruisers built for the Imperial German Navy. 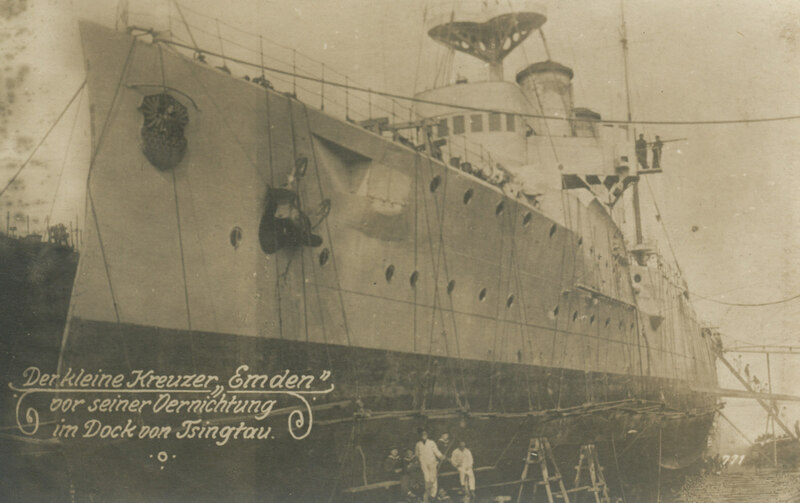 Named after the town of Emden, she was laid down at the Kaiserliche Werft (Imperial Dockyard) in Danzig in 1906. She was launched in May 1908, and completed in July 1909. Emden spent the most of her career in the German East Asia Squadron, based at Tsingtao in China. 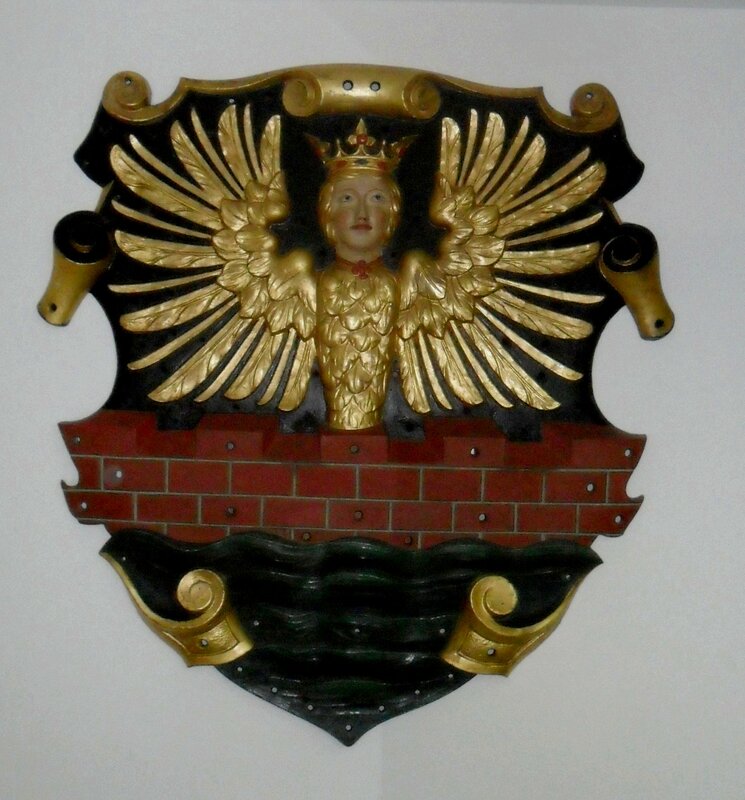 In 1913, she came under the command of Karl von Müller, who was captain the ship during World War I. At the outbreak of war, Emden captured a Russian steamer and converted her into the commerce raider Cormoran. Emden rejoined the East Asia Squadron, after which she was detached for independent raiding in the Indian Ocean. The ship spent nearly two months operating in the region, and captured nearly two dozen ships. On October 28, 1914, Emden launched a surprise attack on Penang. In the Battle of Penang, she sank the Russian cruiser Zhemchug and the French destroyer Mousquet. 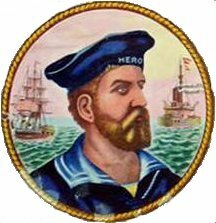 Müller then took Emden to raid the Cocos Islands, where he landed a contingent of sailors to destroy British radio facilities. It was here that Emden was attacked by the Australian cruiser HMAS Sydney. The more powerful Australian ship inflicted serious damage and forced Müller to run his ship aground to prevent her from sinking. Out of a crew of 376, 133 were killed in the battle. Most of the survivors were taken prisoner except the landing party led by Hellmuth von Mücke. He commandeered an old schooner and eventually returned to Germany. Over time Emden's wreck was destroyed by wave action, and was broken up for scrap in the 1950s.